What’s good for an investor is good for a business—and vice-versa! Having invested in many companies and followed thousands more (plus the market as a whole) for over three decades, I have come to realize that what is good for a business is always what is good for an investor. When I hear the management team of a company try to game investors to get their stock price up by either spinning bad news to make it seem “ok,” or by avoiding it altogether, it becomes obvious they view investors as a necessary evil or a tool to be used for their own advantage. Berkshire Hathaway, led by Warren Buffet, has declined by more than 50% three times. Apple Computer, during the Steve Jobs-led turnaround, rose from @ $6 to $30/share only to decline to $12 after missing expectations. That was ok, as it then rose inexorably to over $700 per share to become the most highly valued company in the world. Amazon’s bubble was burst in the year 2000 and declined from over $100 to below $6, and is now trading $316 per share. So how does one know when to hold and when to fold them? 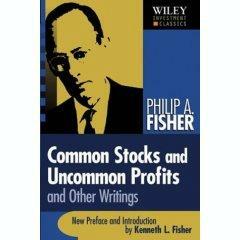 I personally think Phil Fisher, who probably had a better record of making those choices than any investor in history, said it all in “Fifteen Points to Look for in a Common Stock” from his book Common Stocks and Uncommon Profits. In fact, Phil said a company must qualify on most of the 15 points to be considered a worthwhile investment. The trouble is, few do. In founding and leading Okyanos, I have kept these points firmly in mind. 1. Does the company have products or services with sufficient market potential to make possible a sizable increase in sales for at least several years? A company seeking a sustained period of spectacular growth must have products that address large and expanding markets. 2. Does the management have a determination to continue to develop products or processes that will still further increase total sales potentials when the growth potentials of currently attractive product lines have largely been exploited? All markets eventually mature, and to maintain above-average growth over a period of decades, a company must continually develop new products to either expand existing markets or enter new ones. 3. 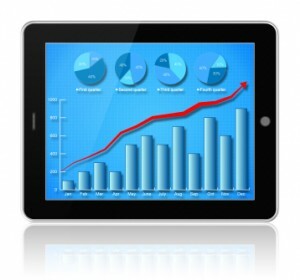 How effective are the company’s research and development efforts in relation to its size? To develop new products, a company’s research and development (R&D) effort must be both efficient and effective. 5. Does the company have a worthwhile profit margin? A company can show tremendous growth, but the growth must bring worthwhile profits to reward investors. 14. Does management talk freely to investors about its affairs when things are going well but “clam up” when troubles and disappointments occur? Every business, no matter how wonderful, will occasionally face disappointments. Investors should seek out management that reports candidly to shareholders all aspects of the business, good or bad. Great article. I think it is very valuable to see these points highlighted as extremely important by someone who’s had success in the field himself (Matt Feshbach).